If you’re new to the world on Facebook ads, and you want to learn how to set up and optimize a Facebook campaign, you’re at the right place! In this Facebook Ads Guide, we walk you through how to set up your very first campaign, plus give you Facebook advertising and targeting tips and tricks to make the most out of your ad budget. Now, if you’ve previously experimented with AdWords campaigns, but you now want to focus on Facebook, you’re not alone. And spending more on Facebook ads. Well, first of all, Google AdWords is becoming insanely expensive. Back in 2008, the average Cost Per Conversion on AdWords used to be $7.02. In 2012, it increased to $24.40. And in 2016, it increased yet again, this time to $33. Costs aside, you typically get more conversions with a Facebook ad campaign as opposed to a Google AdWords campaign. More specifically, the average conversion rate on Facebook is a whopping 9.21% (as compared to AdWords’ 2.70%). Now, if you’re a business owner or marketer who wants to get more bang for your buck using Facebook ads, you’re in the right place. In this comprehensive Facebook Ads Guide, I’ll walk you through how to set up and optimize your very first Facebook ad campaign. I’ll even throw in a couple of case studies, so you can see how other folks are utilizing different facebook advertising tips and maximizing the value of their ad campaigns. A Business Manager account, and a Facebook ad account. Done? Alright, let’s move onto creating your first campaign! To create your first campaign on Facebook, navigate to your Ad Manager and click on the green “+ Create” button on the left. Now, the first thing you’ll have to do is choose your campaign objective. Typically used by: Advertisers who want to get more newsletter subscribers or leads. These advertisers may be in the B2B or SaaS industry. Note that you’ll need to make sure that your facebook lead ads are GDPR-compliant. Typically used by: Advertisers who want to nurture their leads. These advertisers may be in the B2B or SaaS industry. Typically used by: Advertisers who want their consumers to convert (ie sign up for a form, or make a purchase) on their website. Typically used by: Advertisers who want to optimize their ads to maximize eCommerce sales. Typically used by: Advertisers who want to reach out to local customers. These advertisers may be in the retail industry. If you want to get people to take an action on your website (eg purchase an item or complete a form), I’d say you should go with “conversions”. Alternatively, if you’re trying to generate leads, you can also use the “lead generation” objective. This will prompt you to set up a Facebook Lead Ads campaign; click on my Facebook Lead Ads Guide to learn more. As a general rule of thumb, I’d steer clear of the “reach” and “brand awareness” objectives. With these objectives, Facebook will spend your budget on getting as many impressions and views as possible — but it won’t optimize your ads to maximize your conversions. Now that’s clear, let’s move on to step two… deciding who you want to target! This is a good start, but it isn’t enough. If you want to enjoy high conversion rates and low Cost Per Conversions, you’ll have to get more granular than that! For example, say I own an eCommerce store selling activewear. OPTION 1: Target according to interest. Setting this up is simple. After you choose your campaign objective, you’ll get redirected to a page that allows you to create a new ad set. 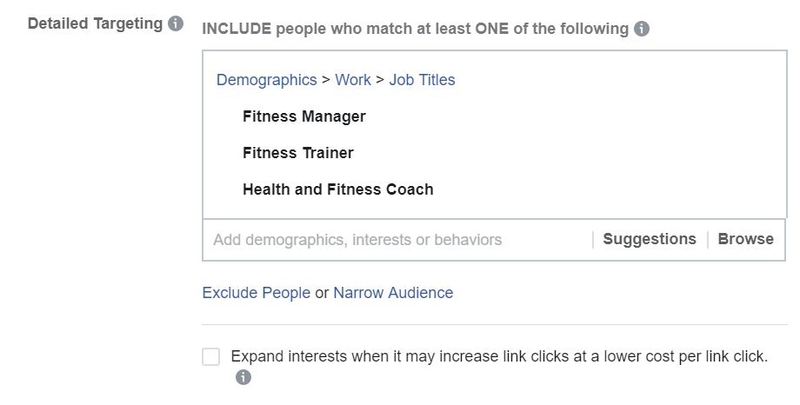 Then scroll down to “Detailed targeting” and add in the interests you want to target. The “Sports” interest is relevant to my business, but it’s still a bit too generic. If I want to get more focused, I can also target consumers according to the brand. 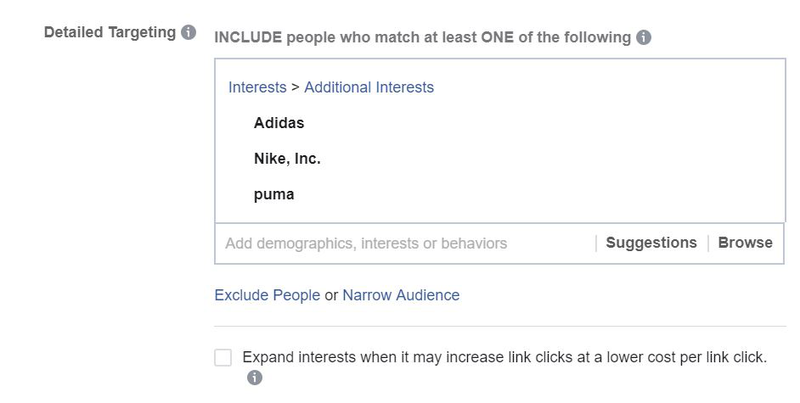 With this option, I’ll make a list of other brands that my potential customers might be interested in, and serve my ads to Facebook users who are looking at these brands. Brands aside, I can also look at what publications my consumers read, or which influencers they look up to and follow. Next, I also have the option of targeting consumers according to their job titles. What if I want to reach out to the people who have already Liked my Facebook page? In fact, Facebook also gives you options to reach out to friends of people who like your Page. Pretty neat, huh? This feature is available under “Connections”, which is right under “Detailed targeting”. This is my personal favorite Facebook advertising strategy! Facebook is so powerful, you can even have the ability to target people who haven’t interacted with you on Facebook, but have visited your website. And then click on “Website traffic”. Note that you’ll need to have your Facebook Pixel set up properly in order for this to work. If you haven’t done so yet, check out this Facebook Help Guide. Last but not least, you can also target the people who have signed up for your mailing list, and serve them with Facebook ads. Then click on “Customer File” (that’s the option above “Website Traffic”). You can either upload your customer’s email addresses manually or connect your Facebook ad account to MailChimp to import the addresses from there. Let’s move on to talk about your offer. Now that you’ve identified who you want to target with your ads, the next step is to come up with an offer that they can’t resist. People log onto Facebook to check in with their friends and watch funny dog videos… not to shop for products. Whenever Facebook serves your ad to a user, they’re essentially interrupting this user in their flow and asking for their attention. Now, if your ad is irrelevant and your offer is unattractive, you don’t stand a chance. The consumer will simply continue watching their video or stalking their ex. If your ad does feature a great offer, though, that’s when your consumer will decide, alright, I don’t mind taking two minutes to check this company out. How do you craft a great offer? As a general rule of thumb, your offer will be highly dependent on the industry you’re in. If you’re an eCommerce business, you won’t go wrong with involving discounts and gift-with-purchase deals in your offer. 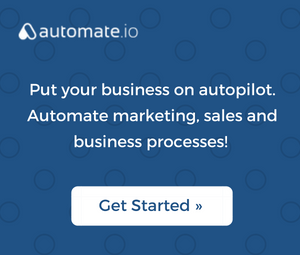 If you’re a SaaS company, then you might offer a free trial or product demo. What about if you’re a marketing or digital agency? Then you might entice your target audience with some sort of white paper or calculator. If your customer is at the Consideration stage, then it doesn’t make sense for you to try and sell them your product. After all, they’re still researching their options, and they’re not ready to make a purchase! What should you do instead? Simple — offer them a free lead magnet (eg eBook), and nurture them from there. Finally, make sure you explain to your customer how your offer gives them a tangible outcome or benefit. If you’re offering your customer an eBook, for example, you might tell them that this eBook will teach them how to do XYZ in 7 days. If you’re selling a product, the same thing goes. Tell them the tangible benefits that your product brings! Our Waterproof Headphones come with 8 hours of wireless playback with a Built-in MP3 Player. With our Waterproof Headphones, you can now hold marathon karaoke sessions in the shower. Your voice will go hoarse before the battery runs out! Cool beans — you now know how to come up with a great offer to use with your Facebook ads. The next step is to decide on your placements. Conversions: Facebook, Messenger and Audience Network. Facebook and Instagram are the “standard” picks. Messenger is a good fit for some brands. You should never use the Audience Network as a placement. Let’s talk about Messenger ads first. If your goal is to start a conversation with your customer (instead of driving a purchase or conversion, then these will be right up your alley). If you’re keen to experiment with this placement, check out these Facebook Messenger Ads Best Practices. Now, what about Audience Network ads? The upside of these ads? They drive a lot of cheap clicks for your campaign. The downside of these ads? The traffic that you get is extremely low-quality. You’re basically getting a ton of accidental clicks, which means that your traffic will bounce within one or two seconds. Stick with Facebook and Instagram ads (and Messenger, if it’s relevant for you! ), and avoid Audience Network like the plague. Now, let’s talk about how to edit your placements. 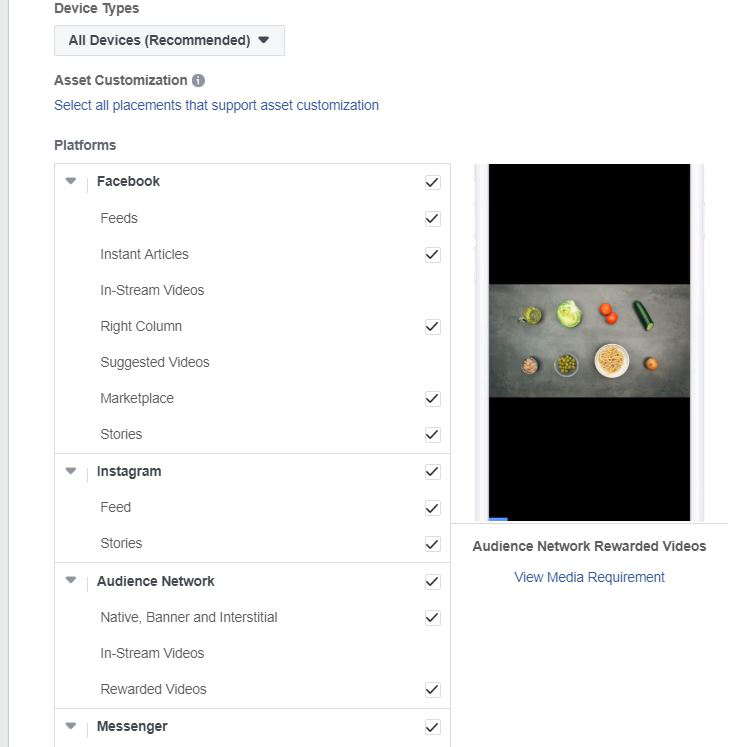 Looking at your Facebook Ads Manager, we’re still on the same page that we previously left off, but we’re going to move on from the “Audience” section to the “Placements” section. First things first: using the “Device Types” drop-down list, you can choose whether you want to serve ads to users on mobile, desktop, or both. If you’re trying to get people to buy a product or service, it might make sense to use both. Some consumers will research and read up about a product using their mobile devices, but still, switch to using a desktop when they make their actual purchase. If you’re simply promoting an eBook download or some other lead magnet, on the other hand, then keep it to mobile only. The vast majority of people use their mobile phones to access Facebook, and this will help you keep your Cost Per Click and Cost Per Conversion low. Next, decide which placements you want to show your ads on, and edit those accordingly. Alright, moving on to your budget! We’ll go through these one at a time. If you use a daily budget, you’re basically telling Facebook to spend this amount of money every single day. If you use a lifetime budget, on the other hand, you’re allowing Facebook to spend at its own discretion. Say your lifetime budget is $500, and your campaign runs over the course of a week. Facebook might spend $50 on the first day, $70 on the next, and then $20 on the third day. That said, they won’t exceed $500 by the end of the campaign. Generally speaking, most business owners and marketers find that using lifetime budgets gives them better results. For instance, here’s a case study about how switching from daily to lifetime budget resulted in a 3x increase in click-through rate, and a 30% decrease in Cost Per Click. 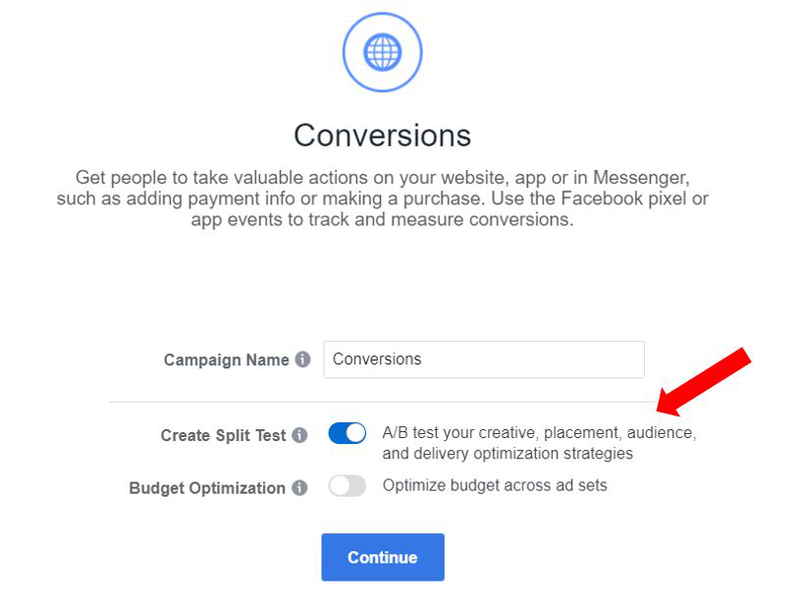 Assuming you previously chose “Conversions” as your campaign objective, you should stick to the same optimization option here. With the lowest cost, it’s pretty straightforward — you’re getting Facebook to bid with the goal of getting you the lowest possible cost per conversion. With target cost, however, you’re asking Facebook to try and adhere to your target cost per conversion. Facebook says that this particular Facebook advertising strategy is suitable for those who are looking to “achieve more stable results” as their ad spend increases. With the lowest cost, you might get your first 20 conversions at an average cost of $8 per conversion. But once you increase your ad spend, your conversions might start costing you $12 per conversion on average. With target cost, say you set your target cost to be $10. This means you’ll achieve an average cost of $10 per conversion — and this (theoretically!) won’t change, even as you scale up your ad spend. Well, why can’t I just use the target cost and set a low target cost of $2? You can definitely do that, but if Facebook deems your target cost unrealistically low, they might only spend a portion of your budget, or they might even stop delivering your ad altogether. So, is the lowest cost or target cost better? We recommend starting out with the lowest cost, just so you can figure out what your baseline is. Once you start increasing your budget and your costs start creeping up, however, you can switch to the target cost. 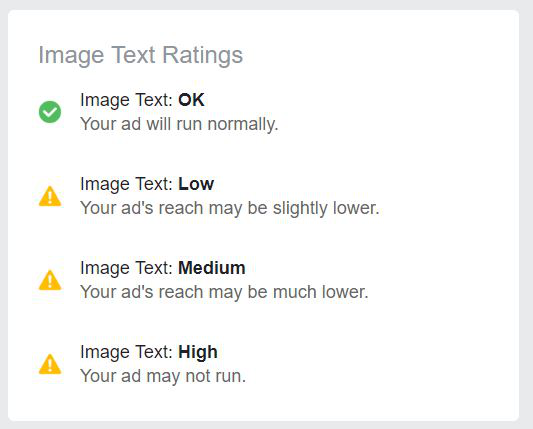 Remember to bid realistically for your target cost, though, so that Facebook will serve your ads! Now, onto the fun part… designing and creating your ads! Cons: Challenging to create a great video to use with your ads. Keep in mind that Facebook users prefer shorter video ads that span 15 seconds or less. What it is: Video-like ads that use a combination of animated photos and text to tell a story. Suitable for: Advertisers who want to experiment with video ads, but find it too time-consuming to create a live video. Pros: Quick and affordable to create (as compared to video ads). Cons: Though lightweight, they’re less compelling than live video ads. What it is: Ads that redirect users to an “Instant experience” (something like a full-screen landing page). Collection ads may be used with different templates such as “Instant Storefront”, “Instant Lookbook”, “Instant Customer Acquisition” and “Instant Storytelling”. Suitable for: Advertisers whose goal is to drive engagement. Pros: Users can browse through your content without leaving Facebook or Instagram. Cons: Takes more effort to set up as opposed to standard banner ads. After you’ve set your budget, click on the “Continue” button at the bottom of the page, and this will redirect you to a page where you can create your ad. First, input your ad name, and then scroll down to choose your ad format. You have quite a few options here, but to start off with, we recommend going with a simple banner ad. Once you get more familiar with Facebook, you can start experimenting with other ad formats, such as carousel ads, video ads, and more. Now that you’ve chosen your ad format, it’s time to create and upload your ad image. To do this, we recommend using Canva.com, which is a simple drag-and-drop tool that you can use to design images. Once you’re done, go back to your “Create An Ad” page, and click on “Upload image”. Then fill in your text, website URL, headline, and choose your Call To Action (CTA). As you edit your ad, you’ll be able to check out how it looks in the preview panel on the right. Be sure to click the drop-down menu on the top, to check that your ad looks good across all the different formats you’re using. Once you’re done, scroll down and click “Confirm”. Now all you have to do is wait for your ad to be approved. 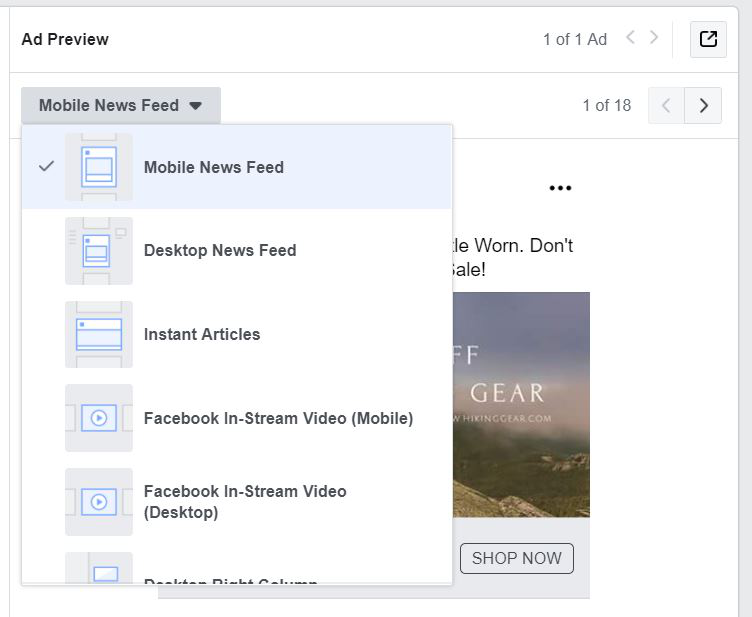 Once that’s done, Facebook will start serving your ad to users! If you’re using a text overlay on your ad, Facebook stipulates that this should not take up more than 20% of the ad’s space. 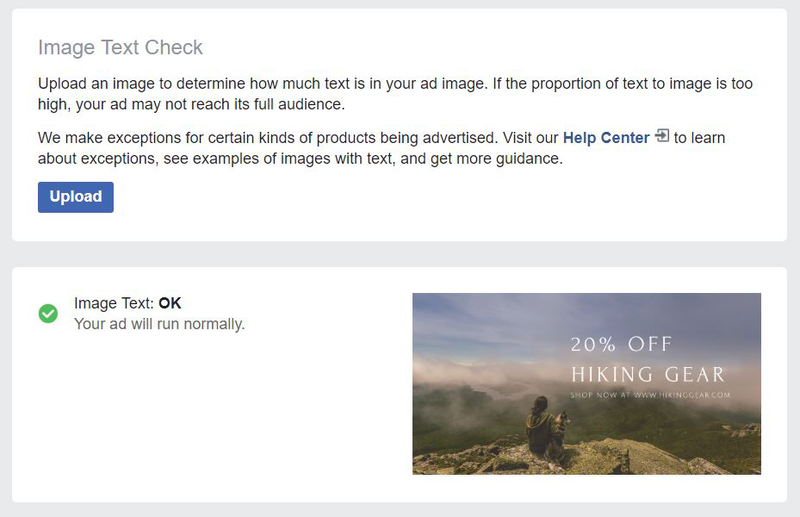 If you’re not sure if your ad is floating that 20% rule, you can use Facebook’s Image Text Check function to find out. And Facebook will rate it accordingly. In this section, we’ll run through a few ways in which you can optimize your ads. The goal is to convert as many users as possible while spending the least amount of money! There are plenty of Facebook ad best practices out there; here are a few to get you started. Talk about benefits and outcomes, not product features or specifications. Take Apple, for example – they killed it when they launched the iPod with the tagline “1000 songs in your pocket”. If they had framed it as “16GB worth of memory” instead, it wouldn’t have made such a huge impact! Use eye-catching colors, and add a border around your ad to make it “pop”. Your ad has to stand out while your consumer is scrolling through their newsfeed! Include a CTA in your ad copy (yes, despite the fact that you have another CTA button within your ad). This will encourage the user to take action, and drive more conversions for your ad campaign. Use powerful and emotive words (eg “skyrocket your leads”, “destroy your competition”). This increases the likelihood that your ad will evoke some sort of emotion in the user; when that happens, your user has a higher chance of taking action. Experiment with using emojis in ads. Again, this boils down to standing out. Go ahead and jazz up your caption with some eye-catching emojis! Experiment with using Custom Audiences and Lookalike Audiences. With the former, you can target people who are fans of your page or people who have joined your mailing list; with the latter, you can reach out to people who have similar profiles as your highest-paying customers. Retarget users who have previously visited your site. Retargeting your existing customers is shown to be a lot more effective than reaching out to a new pool of customers. For all the eCommerce store owners out there, make sure you get those customers who have abandoned their carts to come back and convert! 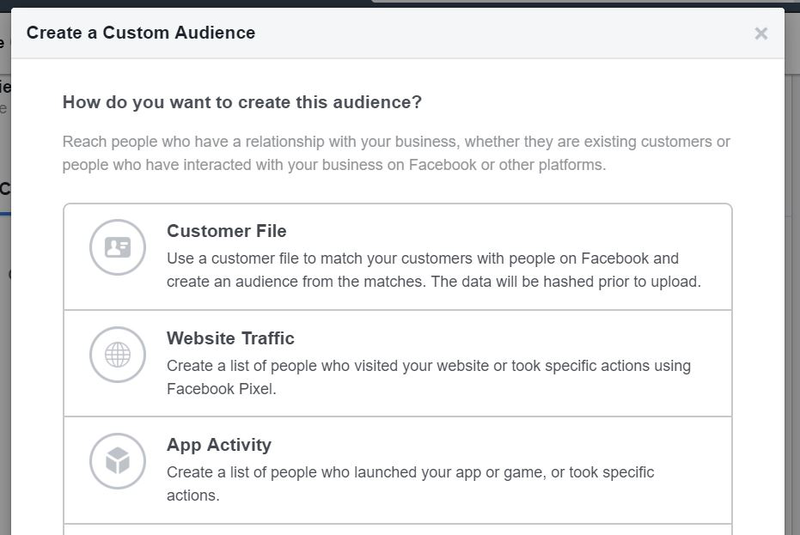 Use Facebook Audience Insights to refine your targeting. Look at your campaigns, figure out what’s working and what’s not, and then fine-tune them accordingly. There’s a ton more — just Google “Facebook ads tips” or “Facebook ads best practices”, or “Facebook ad targeting tips” and knock yourself out! 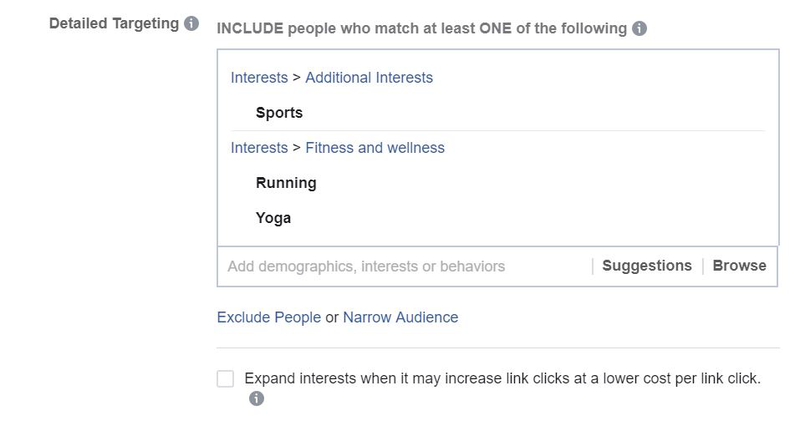 There’s no one-size-fits-all solution when it comes to running Facebook ads, and what works for other people might not work for you. Bearing this in mind, you shouldn’t blindly follow the Facebook ad best practices that you read about online. You can definitely experiment and try out different Facebook advertising tips and tricks, but at the same time, run A/B tests so that you know which techniques are the most effective for you! If you want to optimize your ads, you’ll have to measure and track everything — simple as that. Where do A/B tests come into the picture? Well, with these tests, you’re tracking the success and effectiveness of TWO different variants of the same campaign, ad set or ad. Once you figure out which variant is more effective, you can then switch out all your campaigns, ad sets or ads to mimic that variant. This will boost your conversion rate, and decrease your CPC and CPA. There are two ways in which you can A/B test your ads. The first way is to create an “official” A/B test using Facebook. After you decide on your variables, the next step is to set your budget and determine how you want to split it. (You should always go for 50-50; allocating more budget to a certain ad set or variant will mess up your results). Alternatively, your other option is to run your A/B test manually. Make sure you only change ONE element at a time. If you change multiple elements, you won’t know which factor is the one that has contributed to the success of your winning ad set. What if you want to test your ad copy? Again, when you’re testing your ad copy, you shouldn’t change any other element of your ad. Your CTA, headline, banner — everything has to remain the same. Apart from optimizing your ads, you should also experiment with other ad formats, like how we discussed in Step 6 of this article. More specifically, we recommend trying out video ads. Most marketers and business owners understand, on an intuitive level, that video ads are more engaging and attractive than typical banner ads. That’s not all — video ads also convey messages better. Viewers retain 95% of a message when they watch it in a video, but they only retain 10% of that same message when reading it in text. How does this impact your bottom line? Well, statistics show that marketers who use video grow their revenue 49% faster than those who don’t use videos. If you want to experiment with using video ads in your Facebook campaigns, we recommend using a tool such as Shakr. You’ve made it all the way to the end of this bumper Facebook ads guide… give yourself a pat on your back! Remember: running Facebook ads isn’t just about setting up a campaign, uploading your banner ad, and calling it a day. You’ll also have to put in the time and energy to A/B test your ads. (In fact, we’d say that you should spend the bulk of your time doing this). Are you still in the midst of creating your first campaign, or have you been working with Facebook ads for some time now? Comment to let us know what you’re struggling with, or to share any of your favorite Facebook advertising tips! Cherie is a full-stack marketer who is in love with writing and communications, and also fascinated by the power and precision of digital marketing. For fun, she likes hiking, travelling, and drinking tea.